Back in last February, you may remember that we announced the US distribution of Movie Edition Tiny Turbo Changers. As we estimated, the figures arrived on shelves and online in April. Today, we have learned that Transformers: Bumblebee movie Preview Items are being distributed in the Unites States via Hasbro’s distribution center in California. TRA MV6 HERO DJ is also codenamed as DJ Stryker on certain countries, but the actual product name is revealed as DJ Bumblebee. 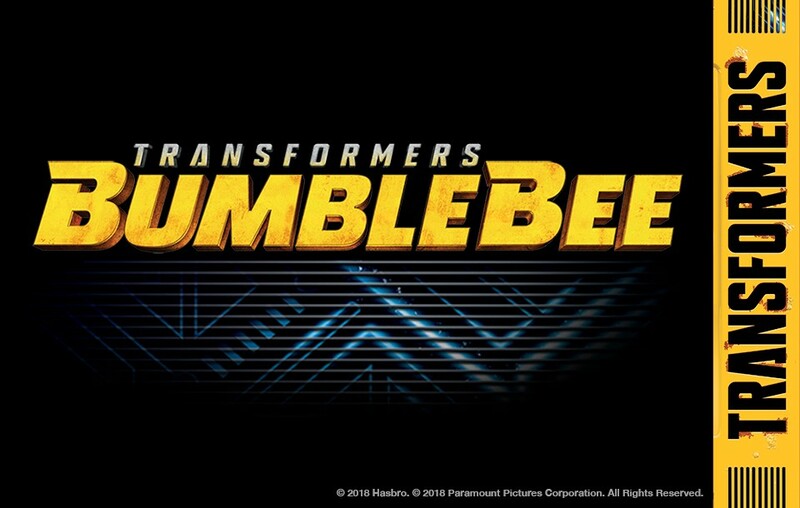 Overseas distributors of Hasbro Transformers toys, denotes that the Street Date for the Bumblebee movie line will be on Halloween this year. You may take a look at the list of toy categories via our previous news post. I'm curious about the dancing "DJ Bumblebee". I love the dancing Sqweeks (I need to pick up another now that they're on sale), so I wonder if it's something similar. I hope it's not too pricey, lol. I'm really looking forward to this toyline in general. I had a look in my local Smyths today and it's quite telling that SS Bumblebee had sold out, while they had one or two of the other deluxes. Meanwhile there was still tonnes of POTP wave 1. Some collectors are convinced that "everyone" is fed up with movie Bumblebee and that movie product is "taking shelf space away" from Generations, or that kids aren't as interested in gimmick toys as Hasbro thinks, even though I tend to mostly see kids and/or their parents looking at RID stuff. I hope the line does well, it'd be a shame for it to peter out prematurely (though I do wonder if they can sustain both MPM and SS long term when they're both trying to achieve similar things unlike the regular Generations and Masterpiece lines). Indeed. Kids nowadays and more glued to their mobiles. Toy market is in a serious situation. I usually read monthly toy industry magazines (I like things oldschool) to get an idea on new industry trends and its current state. Therefore, it's best to deliver products that utilize mobile phones. Besides, even parents love to see their kids running around with role play items than sitting unhealthily on one spot. I do believe during one financial call, Hasbro mentioned that movie toys won't be taking away shelfspace from Generations. Addressing that matter during a business conference means they have heard of the complains (Hasbro reps usually roam these forums to get feedback from fans). How it is implemented, I do not know. As I said, Demand & Supply plays a major role in what we see on shelves. Anyway, I think we are moving away from the topic. Just got a word on DJ Bumblebee. The toy can sing songs and dance to the music we play on our mobiles. Annnnnnnd Generations gets the SHAFT! Again. It's not that I'm surprised… it's that PotP has a REAL PROBLEM with poor distribution. Even with the poor sales of TLK toys, stores were flooded with newer versions (Studio Series), which are ALSO having trouble selling. But yes, let's FIX this: release EVEN MORE MOVIE TOYS! And on the next Hasbro earnings call, I'll pretend to be surprised when they reveal slipping sales! I think it depends. Distribution isn't always a fixed thing. There's always the factor of Demand & Supply in action. By demand, I meant the demand from retailers. Where I live there's more demand from kids for mainstream movie series stuff rather than Generations. Therefore the retailers demand more movie stuff. Also, roleplay items hitting the market first isn't new to Hasbro. This was the case with Black Panther and Avengers. The kids demanded such items, especially when they have a mobile phone AR/VR gimmick. As for Studio Series, I do believe they are doing rather well in US. They sold better than TLK and in certain cases better than Generations. For the movie fans, Studio Series is their own Generations line. Besides, [other than minor QC issues] Studio Series is the best movie toyline since ROTF/HFTD back in 2011.